This six berth Quattro FB features parallel bench seats to the front, side dinette with fold up bunk, central kitchen, fixed double bed and corner wash-room. This Quattro also includes the optional panoramic front sun roof and Diamond Pack (AL-KO AKS 3004 stabiliser, microwave, CD/radio player with MP3 connectivity, alloy wheels, door flyscreen, AL-KO Secure wheel lock receiver and two scatter cushions. 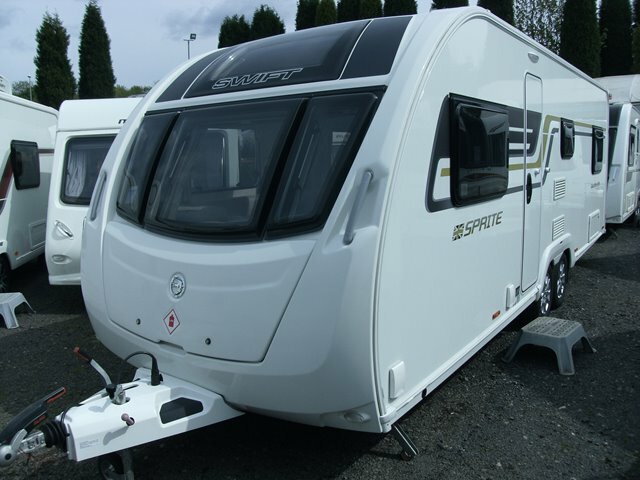 This Sprite also has the optional 'Darwin' upholstery as well as external mains & BBQ points. This van is in excellent condition so come and check it out while you can! For any further information please contact us on 01384 413336 and ask for a member of the sales team.